Discover the natural & historic treasures of Jordan. You’ll marvel at the mosaic artwork of Madaba, some of which dates back to the 6th century AD, & learn about the development of the prehistoric city of Petra. 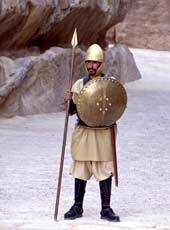 If you’re planning an upcoming trip to the Holy Land, ancient Egypt, or anywhere across the Middle East, then why not add to your experience with this 3-day/ 2-night visit to Jordan. 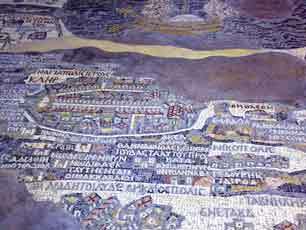 Madaba Map – Mosaic depiction of the Holy Land. Oldest map of its kind. 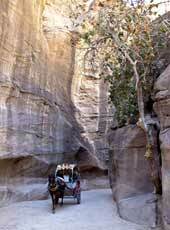 The Siq – Gateway gorge to prehistoric Petra, towering up to several hundred feet overhead. The Monastery – Take a trek up more than 800 steps to arrive at this ancient wonder. Your guided tour of Jordan begins this morning in Madaba. 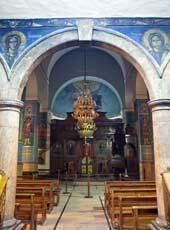 Here you’ll visit Saint George Church, home to the Madaba Map of mosaics. This ancient, Holy Land map is famous throughout the Middle East & across the world for its age, as it is the oldest of its kind. Next, head up to the top of Mount Nebo for amazing views of the vast, valleys below. 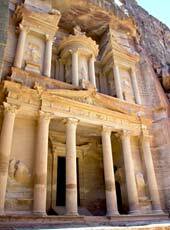 Travel to Petra for dinner & an overnight stay. You’ll be sure to remember your entrance into this olden city, as you’ll be heading through a massive gorge, towering up to several hundred feet overhead. After you have made it through the Siq, you will find fascinating structures carved into enormous, desert-red rocks. Some of the more famous structures include the Kazneh & the Monastery. You might have already heard of the Kazneh, or Treasury, as this ancient structure was used as a main setting in the movie “Indiana Jones and the Last Crusade.” If you have seen the movie, you’ll now have the opportunity to see the Kazneh in its true splendor, through your own eyes. You’ll also find fascination in learning about associated legends that tell the stories of it housing treasure. A visit to the Monastery is also very exciting, as it permanently offers a great challenge: ascending more than 800 steps to arrive! After the guided tour, return to the hotel. 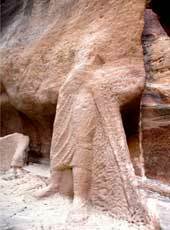 Enjoy another overnight stay in Petra. Transfer to the airport, & board return flight home. You can adjust the number of days, choose the level of accommodations or change the sites visited. We'll create a complete package, including: flights, meals, meetings space or whatever else you may need.